The battle between old and new power is determining who governs us, how we work, and even how we think and feel. New Power is in the news. David Brooks names New Power, "The best window I’ve seen into this new world." 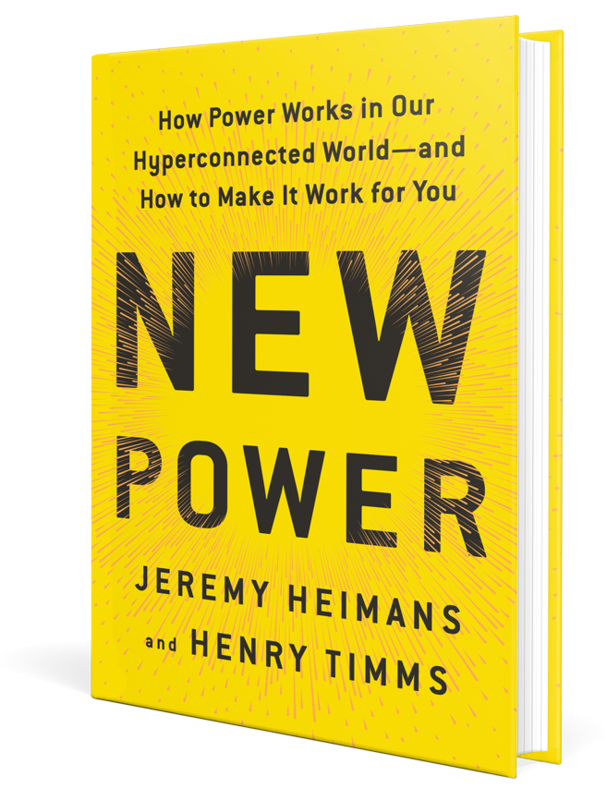 New Power joins Branson's list of "must-read" books as a "useful lens to create change." Are you old or new power? There is a new way to be powerful that is helping leaders get ahead. Could you make it as a new power leader in our chaotic, hyperconnected world? Take this three minute test to find out. New Power shines fresh light on the largest phenomena of our day: from #BlackLivesMatter to Airbnb to the election of President Trump.